The news app is available in iTunes and Google Play. For years Webster University has been a part of the Collegiate Readership Program providing a selection of print newspapers for our students. However, the consumption of print news is on the decline and reaching the most connected and tech-savvy generation with reliable news and information is a real challenge. As an additional resource, Webster has partnered with USA TODAY to provide you with another way to connect your students to the world around them. The Buzz: Webster University is a first-of-its-kind news app that gives students access to the latest national, world, local and campus news they care about in one app. Examine multiple opinions and perspectives. Create conversations and promote a sharing of ideas within their community and beyond. Access campus events information and latest headlines from The Journal. Receive the latest career advice for use in their prospective field. See their lives in a global context and relate major stories to specific course-work. 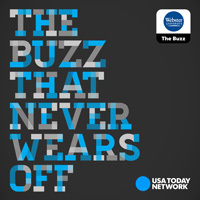 Download The Buzz: Webster University and share it with students to receive the most up-to-date news from USA TODAY national, USA TODAY College, and Webster News. The app is available in iTunes or Google Play stores now.